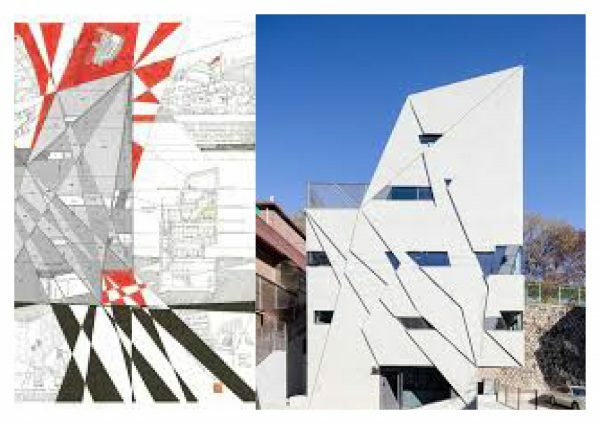 Researching architectural lectures in London, we have stumbled across the Bartlett International Lecture Series and found ourselves drawn to Moon Hoon’s, Doodle Constructivism. Undoubtedly, anyone was prepared for what was to come. Moon Hoon, born in South Korea, studied architecture in Korea and the USA and has become one of the boundary-pushing architects of our time. Saying that he is unconventional is an understatement. In both his designs and presentation style, he exudes an extraordinary mind, playfulness, an exceptional open-mind and wackiness, that was somewhat unexpected. He captivated his audience with his ‘childlike’ approach to his projects, transforming his ‘doodles’ into pieces of art, giving life a refreshingly upbeat makeover. It is hard to believe that anyone has left a lecture feeling so uplifted and inspired too often, thanks to Moon Hoon’s ‘fruity’ and most definitely naughty presentation style. 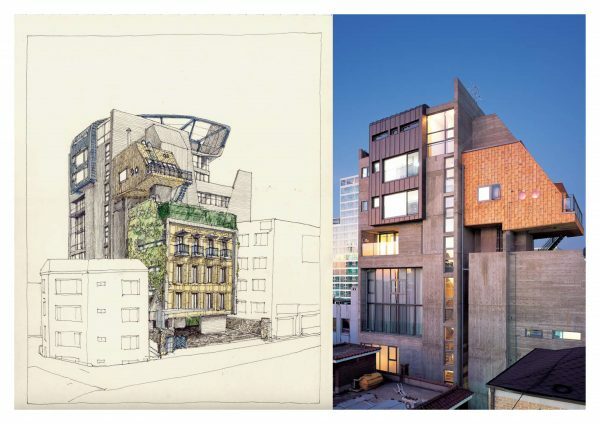 It is encouraging to see that South Korean clients are actively seeking alternative architecture, breaking away from conforming boundaries. Historically, expansion of cities has somewhat been lacking distinction, focusing cheap and quick to build bedroom communities. With architects, almost to a man trained in the United States, were bringing back American designs in addition, disregarding traditional building techniques and local vernacular styles. 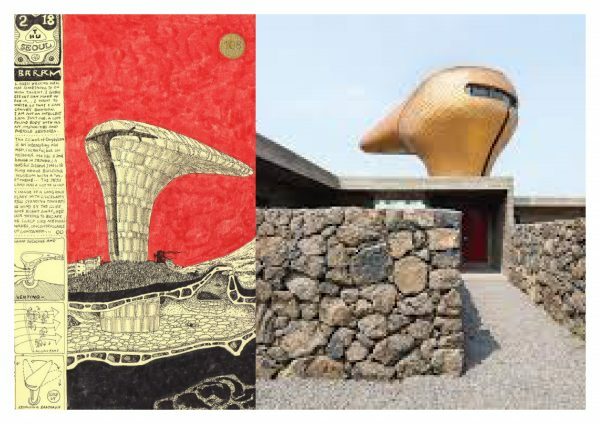 Moon Hoon has most certainly contributed to changing the general approach, incorporating traditional building styles with his futuristic twist, as seen in the Wind Museum. A question that arises quite quickly is to what the longevity of his designs will be, whether they will withstand the test of time. It is apparent that Moon Hoon has managed to tap into the playfulness character of Korea and has successfully built a strong fan-base. It will be interesting to see whether his influence will change his home counties approach to architecture for the future and whether he will be able to infect the rest of the world with his distinctive design style.